Head on over to http://discord.clearbackblast.com. Type in the name you’d like to be called and continue through the setup. We highly recommend downloading the app, but if you want to stay on the web app that’s fine too. These changes will stop notifications for every message sent but will still allow them when people mention you by name or ping an entire channel, which is often used to gauge interest in Arma. 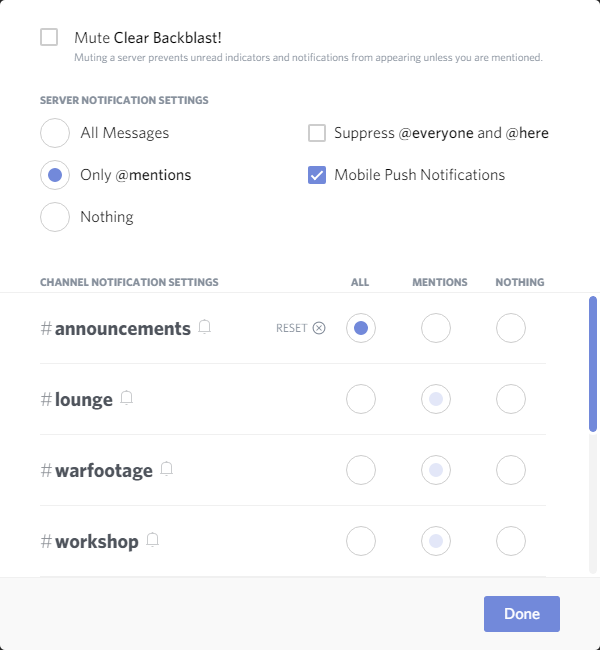 Additionally it'll turn on notifications for any message in the announcements channel which is where we put information for things such as preset updates or links to signup posts for our weekly events.